United States (US) Divers have completed an inspection inside the aircraft which landed short of Chuuk International Airport. 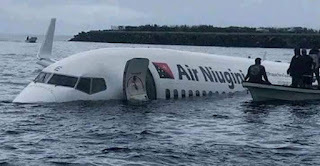 The divers have confirmed that all the passengers had safely evacuated the aircraft. 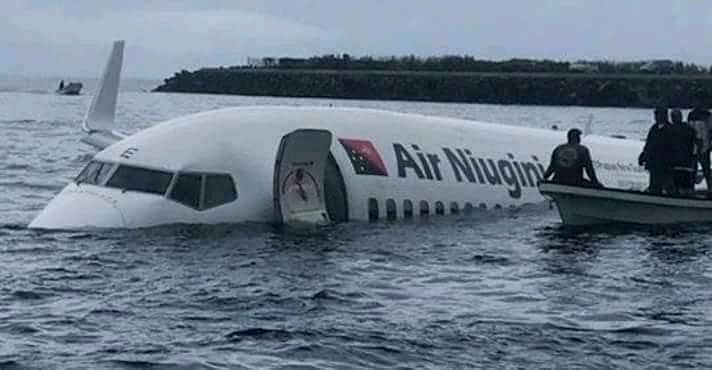 This has been confirmed by other passengers that the unaccounted person had safely evacuated the aircraft and he was seen in one of the local dinghies that were assisting with transporting the passengers and crew to the shore. Local authorities and the airline are continuing to investigate the location of the unaccounted passenger. Most of the passengers and all the crew have arrived in Port Moresby on this afternoon’s Air Niugini special flight and the airline is arranging their onwards travel.